Unfortunately many UK health professionals have a low awareness of ADHD or ADD, and so it is important for parents to arm themselves with as much information as they can about what should happen during the process of diagnosis and treatment. Once a diagnosis has been made, informed parents can push to get a treatment plan for their child which includes all the recommended therapies and management strategies. So what should a treatment plan look like? Who should be seen? What should be done? A great deal of time can be saved at the outset if a Behaviour Diary is kept whilst you are waiting for a referral from your GP. Ideally, it may be helpful to go to your GP with this record when you first go to seek help, as it will show a detailed history of your child's behaviour problems both at school and at home. Such a detailed record will also give an indication of how severe the problems are, and clearly demonstrate that the difficulties are consistently shown at both home and at school. If this is not true, a possible diagnosis of ADHD will not be considered. NHS trusts have different staffing structures across the NHS, but it is likely that your child will be referred to a child psychiatrist or psychologist for an initial assessment. Once a diagnosis has been made, you might find that your child will be recommended for treatment by a combination of professionals. 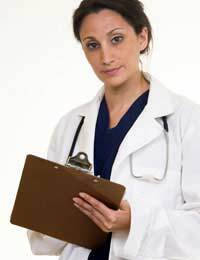 A psychiatrist may diagnose ADD/ADHD and prescribe medications. A psychologist may diagnose ADD/ADHD and provide counselling. Additional therapy may be given to help families and children cope with emotional problems arising from the disorder. These specialists will work with parents and teachers to help set up behaviour modification programs for school, work, and home. A first step will involve setting goals for behaviours and achievements, along with a structure for rewards and consequences. Parental training will also be provided to help families manage behaviours in an ADHD child or teenager. Educational psychologists will teach techniques and strategies to help a child or teenager succeed at school or university. Not all NHS trusts will offer the services of a nutritionist, but some do. A nutritionist will offer dietary advice and programmes that might help to improve ADHD symptoms. If this service is not offered as part of NHS services there are many expert and qualified nutritionists who can be seen privately. Once a medication plan has been agreed, your GP will monitor health and provide ongoing prescriptions for medications. When a diagnosis has been made and the therapy team is in place, the next phase will be to develop a treatment plan that addresses the specific needs of your child and your family. Family involvement is very important, as it improves the chances of successful treatment for your child. To improve understanding of the condition for the affected child, parents and families. This part of a treatment plan is designed to improve a child's ability to socialise effectively with others. A child with ADD/ADHD will frequently have great difficulty transferring the skills they have learned at home to a school setting, and vice versa. To help parents be consistent in how they manage their ADHD child, parents should be taught behavioural management skills. An ADD/ADHD child faces some unique challenges at school. Not only do they have to counter the problems caused by hyperactive-impulsive behaviours and an inability to focus on the task in hand, but they are likely to have problems with their general organisation at school. ADHD children can be given permission to use technologies such as electronic organisers and computers for school work. Teachers can ensure that homework schedules, timetable and other requirements such as which books or other equipment may be needed books are properly entered into an organiser. Frequent alerts can remind an ADHD child of their commitments throughout the day.